4 Youth Bible Study Guides from Chip and Helen Kendall covering topics for teens that'll help understanding and insight. ERV Youth Bible Study Guides Value Pack is published by Eden bundles and is our 3568th best seller. 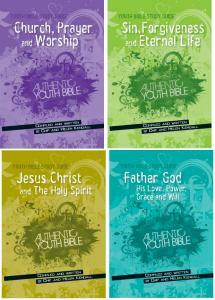 The ISBN for ERV Youth Bible Study Guides Value Pack is EDENBUNDLE-1512. Be the first to review ERV Youth Bible Study Guides Value Pack! Got a question? No problem! Just click here to ask us about ERV Youth Bible Study Guides Value Pack.